Thirteen weeks ago Lucifer delivered up a powerhouse episode that left Chloe fighting for her life and the entire team doing everything in their power to save her. After an incredible show of unity that resulted in Chloe being saved, Lucifer took off without a word to anyone. It was a torturous cliffhanger worthy of Maze adding to her list of future torture methods. 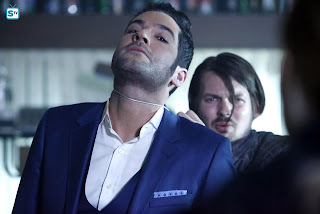 It’s becoming apparent that someone on the Lucifer writing staff might themselves be a demon from Hell with a vast array of torture techniques that they are more than happy to unleash on unsuspecting fans because that cliffhanger was just cruel. Thankfully the long wait has blissfully finally come to an end. The show more than made up for the long wait with this brilliant episode. In the world of the show, they were only without Lucifer for two weeks. They definitely had a much shorter wait for his return than fans did. Still, two weeks was enough to put him on the outs with everyone he left behind, chief amongst them being Chloe, who had every right to be angry with him. They were on the cusp of developing their relationship into something very meaningful before he took off. Though, knowing what he confessed to Amenadiel, it’s practically impossible to be mad at him. He feels like his father wronged not only him but Chloe as well. He was trying to give her back the freewill he felt his father stripped from her by basically creating her with Lucifer in mind. There are better ways to approach the situation, but he’s Lucifer and acted without thinking it all through. What was made abundantly clear is that he still carries an immense amount of love in his heart for her. It was also a nice touch to see Amenadiel guarding Chloe because he knows how much she means to his brother. Everyone can see how much Lucifer loves her, but he certainly has his work cut out for him to fix things with her. She’s not going to make it easy on him. Unfortunately, for Lucifer and the audience, Chloe doesn’t have the whole picture. She doesn’t know that God purposely had Amenadiel bless her into existence. She doesn’t know that Lucifer is the Devil. She doesn’t know what Lucifer went through to save her life. He literally went to Hell and came back for her. There is not a single doubt that she’d have reacted to everything differently if she just knew those things. However, Chloe seems on track to be the absolute last person to know. At the current rate of things Trixie, Dan, and even Ella are likely to know before her, though, let’s all hope that turns out to not be correct. The show needs to start moving towards Chloe finding out the truth finally. It’s becoming a bit of a joke regarding just how many unusual things Chloe is willing to overlook to not accept the truth about Lucifer. It’s not like he’s been trying that hard to hide the truth from her. In fact, since day one he’s told her that he’s the Devil and there have been more than a few unexplainable things surrounding him. Short of her seeing his true face, she’s been given a bucket load of clues and given how terrific of a detective she is she should have put all the pieces together by now. Though, to be fair, she did start to do that last season before being thrown off by Lucifer being susceptible to injury around her. Even without this knowledge, there is still a pull to him that she can’t deny. Now, here’s the bigger question, how much of this is her and how much of it is God’s influence? That is far from being clear to Lucifer or the audience at this point. It’s the same question that sent Lucifer running off to Vegas. Even though he’s doing everything in his power to try and give her back her freewill he may never truly know which feelings are hers and which his father had a hand in manifesting. Amenadiel doesn’t even seem to know Chloe’s true purpose and he literally blessed her into existence. Even in the realms of Heaven and Hell, Chloe is an anomaly that no one can fully comprehend. It’s clear that God had a bigger plan in mind when he had her created, but there might very well be more to his plan than just handcrafting a partner for his son. Lucifer does have freewill and it’s going to be up to him to decide how long he can survive without the woman he clearly loves. To further complicate things, even when Lucifer is trying to push Chloe away he’s trying to pull her closer. It’s no wonder she is having trouble keeping up with what he wants from her. He disappears for two weeks only to show up with a wife. They had been on the cusp of starting some sort of relationship and now he wants to get back into her life, but just as a friend and partner. She had every right to try and keep him off the team, but at the same time, it was obvious that she was delighted to see him back. There was this very brief glimmer of light and hope in her eyes when he arrived at the station before Candy (Lindsey Gort) showed up. Then, one of the most pivotal scenes of the episode, when they were at the therapist office, showed what these two truly mean to each other. The hardest part for Lucifer was when she questioned his integrity. He’s never lied to her, in fact, he’s incapable of it, but he hurt her so deeply that her trust in him was shattered. Lucifer has his work cut out for him to try and piece back together that strong bond they had before he left. That was perhaps the hardest thing he had to accept throughout the entire episode. Her loss of trust in him was a really hard blow and about as a below the belt hit as she could have delivered to him. Given what she knows, it wasn’t without warrant. While Lucifer is ostracized for most of the episode he wasn’t without his allies. 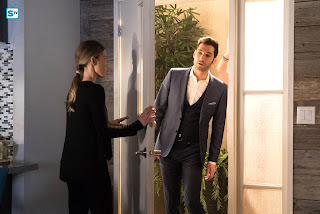 Maze gave Chloe a few gentle nudges back in the direction of Lucifer and even Dan was siding with Lucifer as he tried to help push Chloe back his way. And as is expected, Ella was Team Lucifer all the way. They all saw what Lucifer went through to save Chloe and whether Lucifer can see it or not, the whole situation did traumatize him. Luckily, by the end of the episode, Chloe had begun to come around. Seriously, come on! Lucifer serenaded her! It’s nearly impossible to not be smitten when being serenaded by Tom Ellis. Even though Lucifer deflected at the end, that seemed to be the big turning point for the two of them. That and when Lucifer’s life was put on the line. He was willing to die (again) to prove himself to Chloe and to try and earn a place back on the team to remain close to her. Everyone knows these two belong together, even Candy. Now, she was an immensely interesting character. 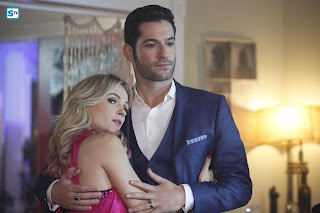 Both the character and the actress are exceptionally good performers because right up until the end it seemed like Lucifer had indeed married this ditzy woman. Turns out he’d brought a very smart and observant young woman back with him. She definitely sold the part well to the point where she even had Charlotte convinced that her son had married a ditzy Vegas stripper. Major respect to Gort for perfectly balancing this character and it’s quite impressive that not once did she tip her hand until the very end. She had everyone, characters and audience alike, convinced that Candy was actually Lucifer’s wife. 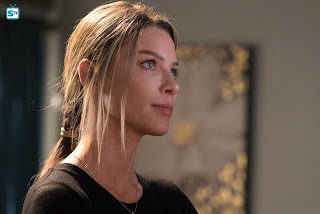 Knowing the con act she was putting on for Lucifer, and the way she was able to help out with the case, she’s a character that would be fun to see on the show again. Plus, it’d be fun to watch her interact with everyone again. Lucifer brought Candy in to deceive his family and friends to which she succeeded at with great ease. Candy even managed to convince Maze of the deceit and that’s quite impressive in and of itself. However, Maze may have been a tiny bit distracted by Candy’s assets to take a deeper look at the situation. It would be nice if the show would go ahead and hook Maze up with someone, whether it is a man or woman. Even demons need some romantic action in their lives. While Maze is clearly attracted to people regardless of their gender, she does seem to have a particular affinity for the ladies. 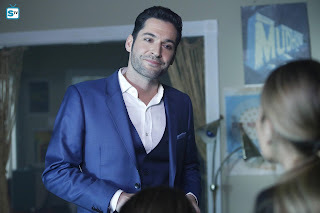 Could be quite fun to watch the fierce demon become all smitten over a human the way Lucifer has with Chloe. If she doesn’t want to deal with a human there is still always Amenadiel in play. They seem to have a nice connection that could turn into a fun relationship as long as they don’t go around betraying each other again like last season. Even though it would be fun to see them together again it just seems like a human relationship could be hilarious to watch Maze try and navigate. She’s only just starting to figure out how to be a good friend to Trixie, Chloe, and Linda. There’s so much potential for Maze that the show can tap into and with Lesley-Ann Brandt at the helm of the character, whatever they throw at her will be so much fun to watch. Candy was even formidable up against Charlotte, and as was noted in the episode, that was quite the impressive feat. Though, that small bump in the road wasn’t enough to stop Charlotte and her plotting. However, it was quite interesting to hear her acknowledging the part she played in Lucifer’s current issues. When she was talking with Amenadiel she finally started to put the pieces together and realize that she’s the one who broke Lucifer. That remorse and motherly concern was short lived as she got right back to plotting her ultimate goal of overtaking Heaven and getting back home. She even went so far as to reveal to Lucifer that he has in his possession the weapon that could turn the tides in their favor if they went to war with Heaven. 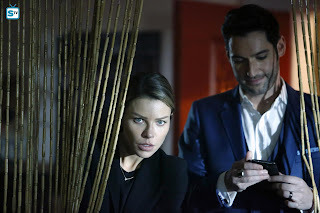 It will certainly be interesting to see what Lucifer does with that particular bit of information. He doesn't seem to have much interest to go back to Heaven other than to have a nice in person chat with his dad about his meddling, but other than that Lucifer tends to give the impression that he simply doesn't care and is content to remain firmly on Earth. So, it will be immensely interesting to watch this part of the story play out throughout the rest of the season. 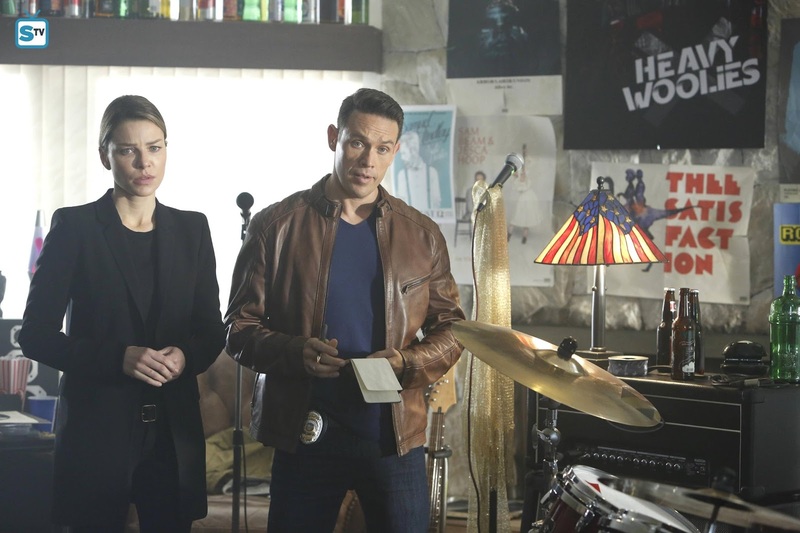 The case of the week was absolutely nothing special, but it was made into an important one given that solving the case did help reunite Chloe and Lucifer, at least as partners. They have a long way to go to get back to the place they were prior to him taking off. However, the case did highlight that the show can only go on for so much longer without at least letting Chloe in on the secret. She has the right to know that she’s basically at the very center of an impending war with Heaven. This was a really strong return episode after such a long hiatus. 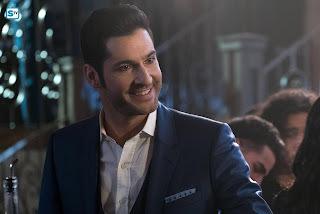 Lucifer got to have funny interactions with just about everyone and they even squeezed in a couple hilarious sessions with Dr. Linda. Maze and Charlotte got to trade jabs. 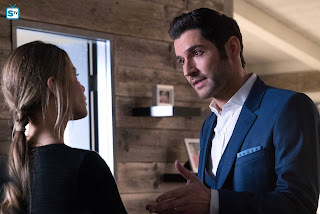 Ella got to show her fangirl side as she rooted for Lucifer and Chloe to reconcile. She truly is the voice of the fans in that instance. There were incredible heartfelt moments between Chloe and Lucifer which resulted in their ultimate partner reconciliation by the end. And, to mention it again because it warrants a second mention, Tom Ellis sang again. They packed a lot into this episode and seem to have set up a lot of big things to come in this last short batch of episodes. Be sure to tune into the next episode of Lucifer on Monday, May 8th on FOX at 9/8C. Keep an eye on SpoilerTV this week for a bit of an advance preview of the next episode. Hit the comments with your thoughts about the episode. 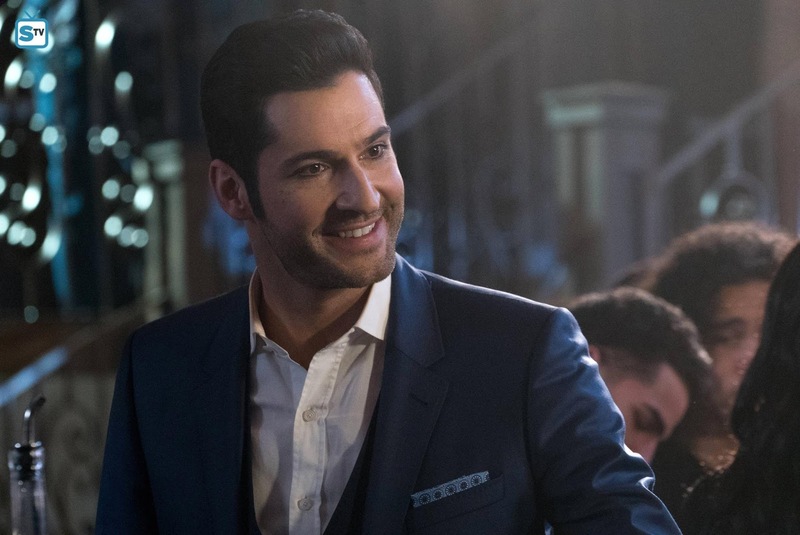 Are you glad that Lucifer is finally back? Do you think Lucifer will try to open the gates of Heaven to let his mom back in? 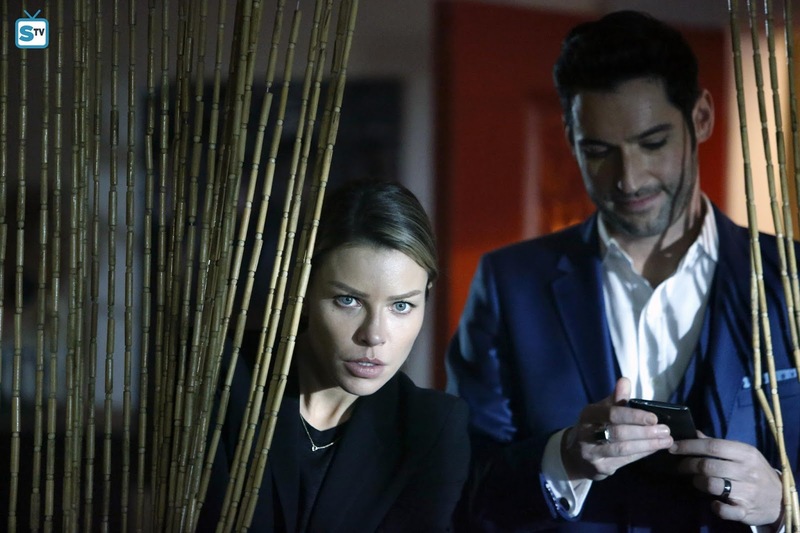 Can Lucifer and Chloe overcome everything to find a way to be together? Special thanks to Donna Cromeans, freelance editor/proofreader (@DJRiter on Twitter) for editing this article.